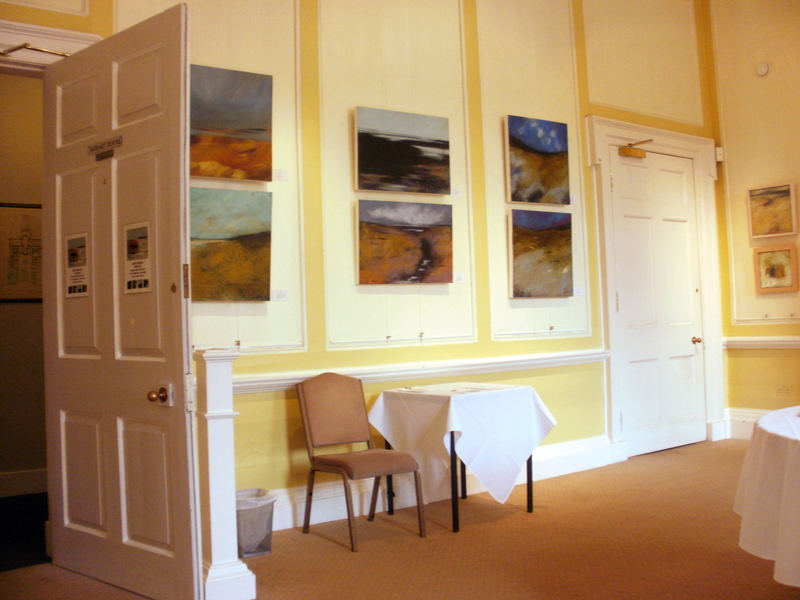 My current exhibition, the fourth since March (phew! 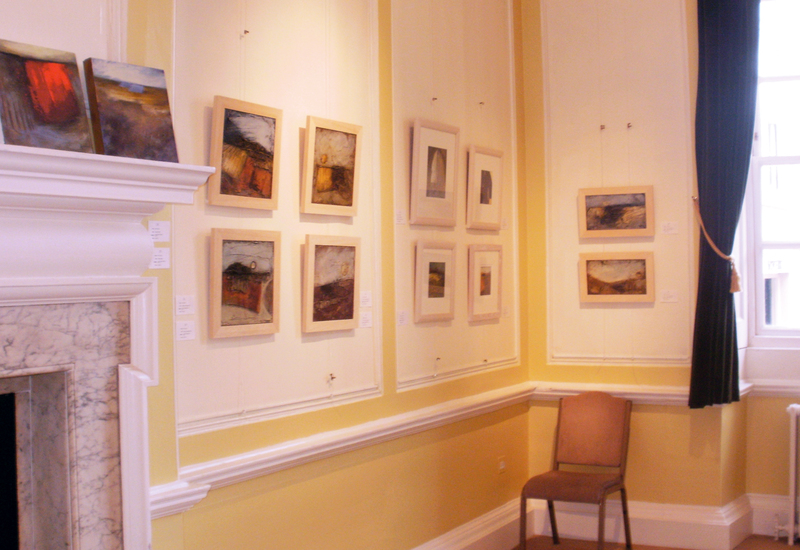 ), is a solo show of around 40 recent pieces in the lofty and light Georgian environs of the Assembly House in Norwich. Being in the Hobart Room it is in the hub of this busy music/arts/dining venue – right next to the famed cake & coffee shop, and gets interested people calling in as they pass to and fro from the various events going on around the (large and attractive) building. 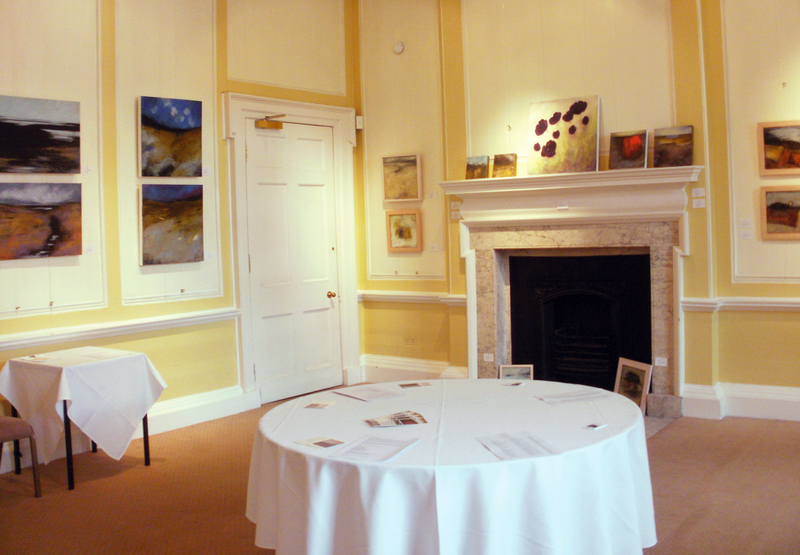 These are a few pics of my work on show – all created since moving down to Norfolk. Unfortunately someone(!) was too busy quaffing wine at the Private View to remember to take photos then. But I’m really grateful to the people who came out on an evening of such torrential rain! It was great to see you all and thanks for the support. I’m happy to report two sales already. The exhibition runs until 29th June. This entry was posted in Uncategorized by mari french. Bookmark the permalink. Just discovered your lovely work. Very inspirational. Thank you Miriam. I’ve had a look at your own blog and love the textured paintings there. many thanks Ian, it was good to meet you there too. thanks for going.